I’ve been through the gamut of the regular New Year’s resolutions. Whether it’s working on time management, being more punctual, or eating healthier, I’ve always found that my motivation dwindles as February hits. If you’re like me and don’t want to start the New Year off with a resolution failure, there are tons of tiny things you can do that can lead to a year of success. There are two kinds of people in this world: those who have clean inboxes and those who have 13,678 unread emails. While it’s not a mess of things that would land you on an episode of Hoarders, it’s mental clutter, for sure. Take some time to go through your unread emails or just flat out delete them all and start over! I check my credit score every January. While most of you might not have a ton of credit history, you can’t avoid not knowing it for much longer. If you are looking to buy/lease a car, own a house, and/or rent an apartment in college, you won’t be getting any of those things if your score is too low. To know your score means you can make adjustments now that will set you up for financial success later. Credit Karma is a great place to start for free reports, credit monitoring, and credit scores. If weight loss is part of your resolutions this year, water is a huge part of that. Even if you don’t change a ton about your eating/fitness habits, drinking more water every day makes you feel fuller and thus, you'll eat less! When things are messy, you aren’t at your best. Think of the time you spend trying to find things when your room is in disarray. By the time you find whatever you’re looking for, you’re tired and ready for a nap. (Just me?) Keep your living area organized to keep your mind clear. This may seem old school with the technology we have available, but I love me a paper calendar. I find that when I write meetings, assignments, and events down, I remember them more, and my calendar is always on my desk so I can see the month in advance. A few weeks ago, I came across a post on social media that said, "For the past year, I put away every $5 bill that came into my possession. To date, I've saved $3,335." It’s really hard as a high school, college, or graduate school student to save money, so this method works to kick-start a good emergency fund—or maybe a slight alternative to calling your parents all the time for some extra cash. There are two things you can do in the social media realm. 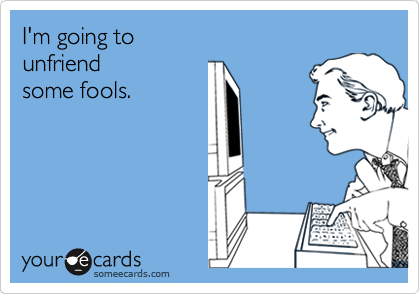 First, unfriend and unfollow friends whom you no longer speak with, who are super annoying, or whom you just don’t like anymore. Why keep that negative energy around when you can remove it from your life with the click of a button? Second, if you’re applying to college or looking for a job, take stock of all of your posts and pictures. Now more than ever, recruiters and colleges are checking prospective applicants out through social media, and it is playing a huge role in their decisions. LinkedIn is a critical part of the job search—it’s a great way to make a first impression on businesses looking for new employees and could lead to a job you were never expecting! Businesses and recruiters are more likely to turn to LinkedIn first to check out your qualifications. If they can’t find you, do you think they will call you in for an interview? There are a bajillion scholarships out there. Literally a bajillion. I’ve counted. Okay, maybe not...but I work in the CollegeXpress scholarship database daily, and our team is always looking for the really fun awards that all of you can apply for. I once read something that said millions of dollars go unpaid to students in the scholarship area because no one applies. If you apply to just one scholarship a day, you could easily pay off a few semesters of school in just a month. Keep a look out for our Scholarship Saturday postings, where we pick some of our favorite scholarships that almost anyone can apply to and go home with some serious cash. 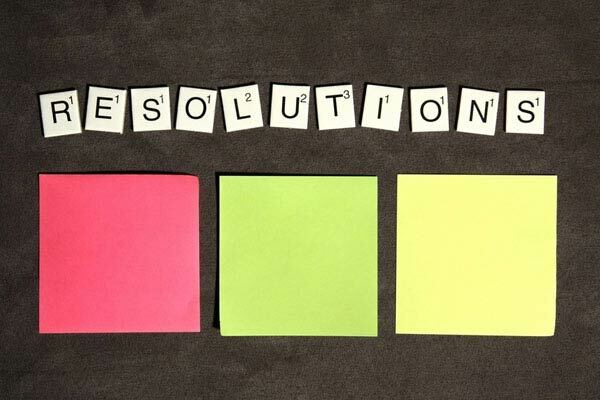 Whatever your resolution is—big or small—I wish you a happy and healthy New Year! Quiz: What Dorm Item Should Santa Bring You?